Electronics tinkering with Arduino, Raspberry Pi, mBed, AVR and various robots. I needed an NTP server at home, as my security cameras were drifting out of sync. 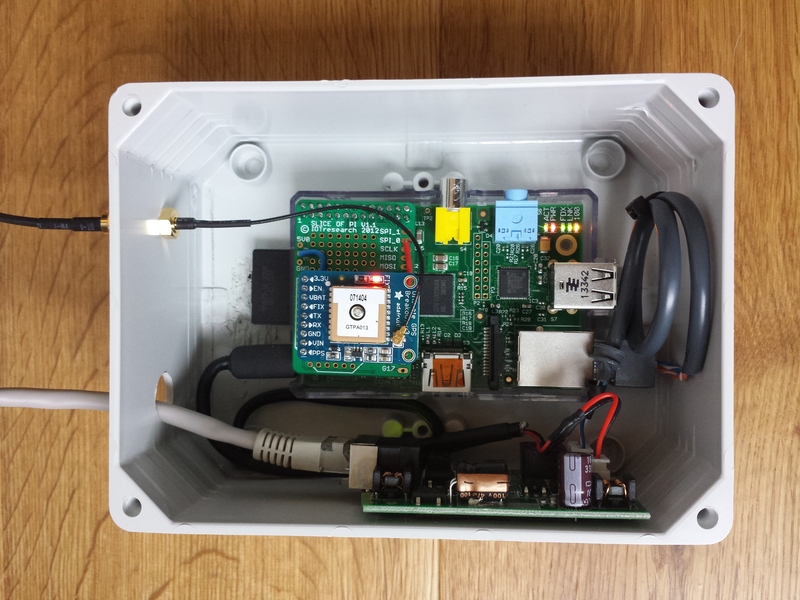 So, I thought I’d create a Stratum 1 NTP Server, with a Raspberry Pi and a GPS receiver. There are lots of guides on the web, so I just followed the instructions, but it was very easy, once you understand the basics. 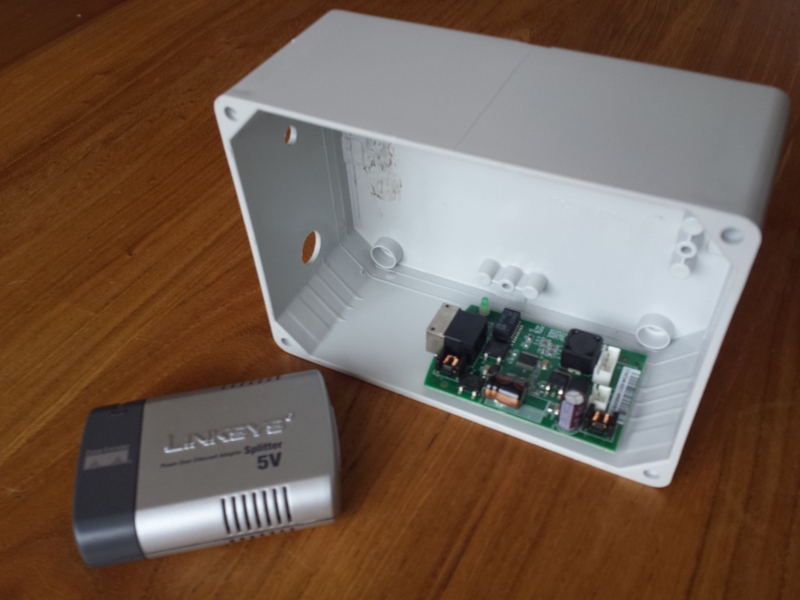 There are two ways to synchronise the time on the Raspberry Pi to a GPS receiver. The first is just to use the GPS NMEA data to get the time. With a 1 Hz update, you have be accurate to about a second. However, some GPS receivers provide a pulse-per-second output, that provides a digital signal every second that can be attached to a hardware interrupt and this can be accurate to a microsecond. I did a couple of other things too, as I had trouble keeping my Raspberry Pi’s running for longer than 3 months on an SD card. After 3 months of being continuously on, I usually got SD card corruption and the server died. I decided to switch this Raspberry Pi to use a USB flash drive to the filing system, and the SD card, just to boot. I did this first, then configured the GPS / NTP. For this post, I’ll ignore the USB configuration, and it’s not relevant to the GPS / NTP install. It’s up to you if you need it. I’ve heard of lots of people that have run a Raspberry Pi for over a year on an SD card without any issues, and others who have had the same issues as me, with no more than a few months without file system corruption. The first thing to do is connect the GPS receiver to the RPi. I used an Adafriut Ultimate GPS breakout board. 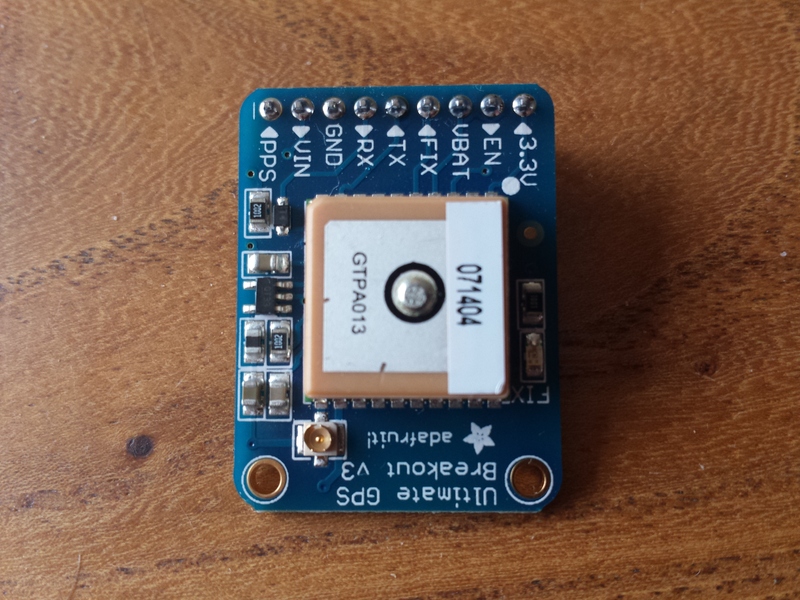 It has lots of useful features; it’s cheap, it’s easy to connect as it has 0.1” headers, it has a PPS output, it’s 3.3v and it has an external aerial mount. The only problem I found with these GPS units is I couldn’t find a way to permanently change the baud rate. If you set the baud rate on the GPS receiver, the setting doesn’t survive a power cycle. If anyone knows how to do this, let me know. Even in production I am running the GPS at 9600 baud. I would have preferred to run it at a faster rate, which would give better accuracy as the NMEA data can be processed faster. But seeing as the clock is set using the PPS, its not a major issue. I used a Slice of Pi prototype board to make it easy to connect the GPS to the Raspberry Pi. The wiring is straight forward, 3.3v and Gnd, Tx & Rx, and the PPS connected to GPIO pin 8. I also have a Power Over Ethernet switch, so I added a PoE power adapter, so the Raspberry Pi would have minimal wiring. I bought a plastic box from Maplins and mounted the PoE adapter, RPi, GPS and external GPS connector all in the box. The box had a clear plastic lid, which also means you can see the RPi in action. Once the hardware was attached, the software configuration follows the instruction linked above. 1. Disable serial comms on the console. We need it for the GPS. add # to comment it out. If you dont see NMEA data, go back and check your wiring and baud settings. You should get the same output as before. This shows everything is starting up correctly on boot. Make a backup of the ntp.conf file. Edit the conf file. Configure NTP to use the UK NTP pool servers. I’m in the UK. If you’re not, pick the most local pool to you. Add the local NTP server from your ISP. Restart NTP and check its working. Basic NTP is now working, but without GPS. Even without GPS, its still accurate to about 37ms. Adjust the time1 fudge offset to compensate for drift. The GPS NMEA input is taking about 350ms to process. You probably want to let rpi_gpio_ntp start at boot. 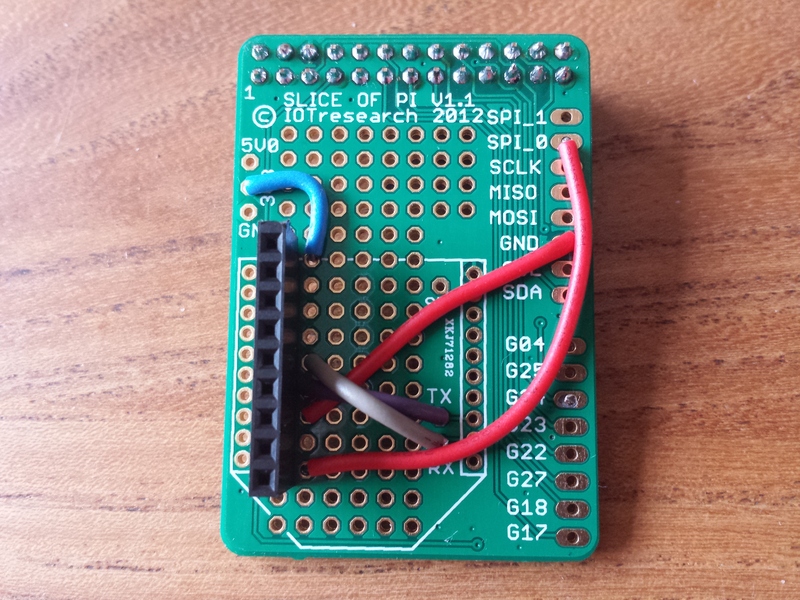 This assumes that the PPS signal of the GPS is connected to GPIO pin 8 which is physical pin 24. This shows the Raspberry Pi system clock is accurate to 1us !! 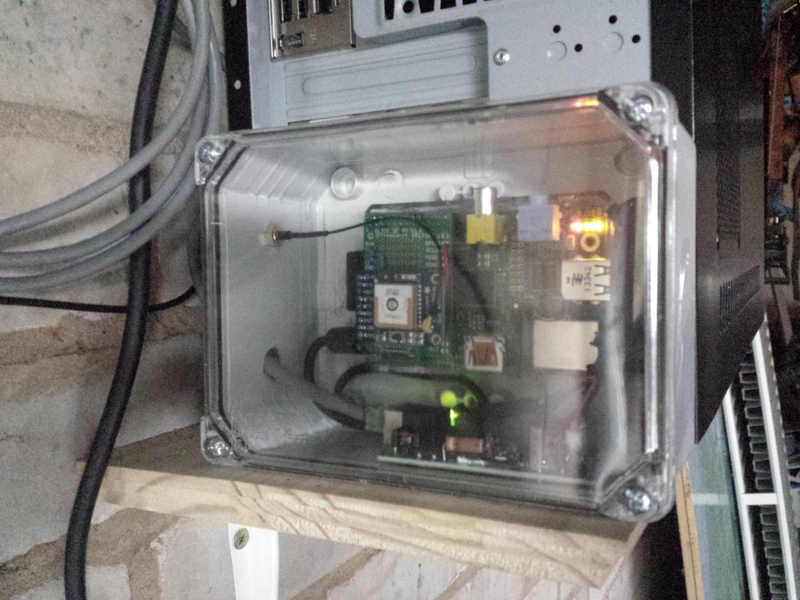 The final NTP Server installed in my garage, with an external GPS aerial on the roof. 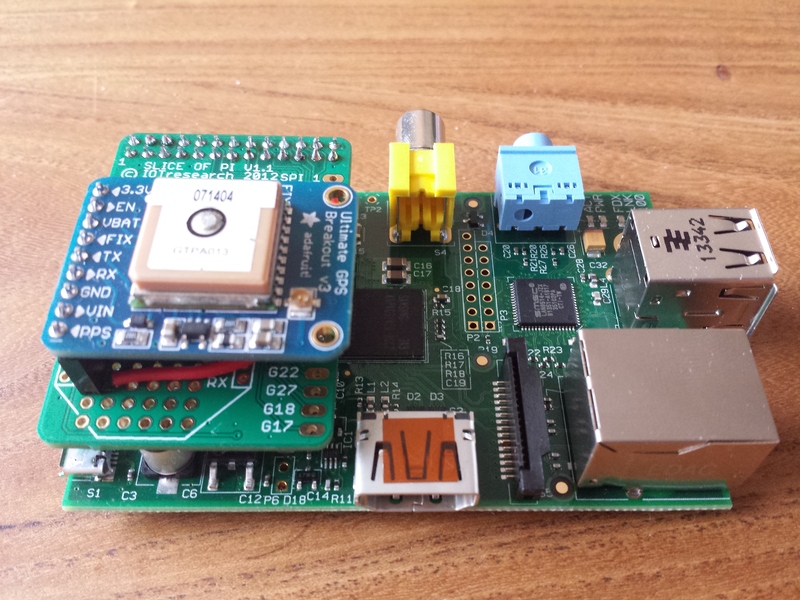 This entry was posted in Raspberry Pi and tagged GPS, NTP, Raspberry Pi, Stratum 1 on July 7, 2014 by mostlyrobots2012. I got to meet ASIMO at the Honda HQ in Slough. The Cubli – A balancing, jumping, walking robot cube !